Many couples learn rather quickly how difficult marriage can be, but before they resort to divorce, marriage counseling often seems the only viable alternative. However, many people actually wonder whether counseling really is a valid strategy to save a deteriorating relationship. After all, if two people who are supposed to love each other start fighting every day, how is a stranger going to help them? Truth is, there are some couples that cannot be saved, and for which separation is the best solution for everyone. 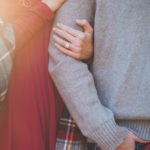 For some others, however, communication issues can be fixed, and with hard work and commitment, marriage counseling can help these lovers rebuild their broken relationship and be happy again. According to recent statistics, marriage rates are steadily on the decline, although they did not change much in the last few years. However, even if many sources claim that up to 50% of first marriages will end with a breakup, in truth, the divorces rates in the United States kept declining even faster since the ’90s. No matter what are the reasons behind it, a divorce is one of the most difficult experiences that adults and children may have to face. Even if keeping a relationship together is often challenging, facing all the hardships of a separation is usually a tremendous burden that a couple will have to suffer for a long time. Although it may prove to be the right decision in the long-term, a divorce forces people to deal with uncertainty with the future, ambivalence, and many negative emotions such as anger, guilt, blame, feelings of abandonment that inevitably increase a person’s stress levels. That’s why many people try to salvage whatever is left of the union or at least, give their marriage a chance by seeking the help of a counselor. Once the communication in a couple has become negative, such as when a partner leaves the other one depressed, disregarded, angered or just unhappy after a conversation, things can become very difficult. Sometimes, just the wrong tone of the conversation may cause a negative reaction in the other partner, and an impartial opinion is critical to establish who is at fault and why. A marriage counselor will help understand the reasons why one partner feels emotionally abused as well as all identify all the underlying reasons why communication has grown negative. Many people often tend to live in a delusion, and end up loving an imaginary partner who is not the one they married, but someone they just want him or her to be. This can be particularly distressing to both partners, and miscommunications and misunderstandings can quickly become the norm. A counselor, once again, will help establish a more realistic picture of who each partner really is, reduce the constant sense of inadequacy felt by one partner and the sense of disappointment felt by the other one. The counselor will also act as a mediator that helps couples understand each other better, and come together to ultimately focus on themselves. He or she will assist the couple set aside their differences and find common ground that is based on respecting each other’s motivations and desires. Ultimately, a marriage counselor is instrumental in creating positive and healthy habits that will reinforce the union in the short and long term. 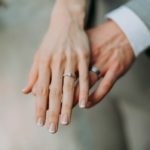 Depending on what is going on in your marriage, seeking the help of a professional can prove to be the solution you were seeking so desperately. Even if a counselor cannot fix the problem (after all, that’s your job), he or she can point you in the right direction. And even if things ultimately go south and you choose to break up with your partner, counseling can still prove central in helping you have a better understanding of yourself and what you’re actually seeking in a relationship.